Hi, my name is Richard. 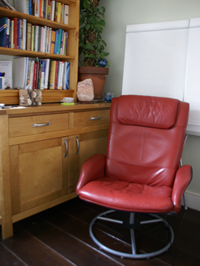 I’ve been working as a psychological coach since 2002 and as a registered psychotherapist since 2008. I help people become free of the emotional “stuff” that is blocking them in their personal or professional lives. I have an integrative approach to psychotherapy that is rooted in the NLP ethos of modelling and draws from a variety of sources. Clients describe my style as bridging the gap between traditional talking therapy and more mystical approaches. Sessions are flexible and are usually longer than the standard 50 minute ‘therapy hour’. They can be intense so I like to keep things relaxed and informal. Taking the first step is often the most challenging. When you are ready you can request a free 30 minute consultation, or call me on 07958 375 655 so we talk about your situation. Pipes are your relationships with yourself, other people, and other things. Water is the energy moves through you and between you and others. Blockages are the emotional contractions that prevent you from flowing freely. Flow is the experience of a freer, more enlightened life. I work with self-referred mentally well adults (individuals, couples, and businesses) with ‘stuff’ they would like to be different. By self-referred I mean that you are choosing to come and see me. This is important as the work we do can be intense and challenging. By mentally well I mean that we both have broadly the same sense of a shared reality. Not entirely, of course, as your stuff will affect the way you experience the world (as mine does for me). By ‘stuff‘ I mean that you are aware of some emotions / beliefs / reactions / tensions / blocks / obsessions / compulsions / addictions / repeating patterns / other symptoms that are preventing your experience of life from being as awesome as it could be. If we decide to work together I ask that you are honest, curious, and a bit courageous. Between us we can usually work out the rest. I am a UKCP registered psychotherapist with qualifications and training in Psychotherapy, NLP and a wide variety of other approaches that I draw inspiration from. Practising what I preach by caring for myself. I like to start by asking you about your everyday experience of being – using your own words (rather than psychotherapeutic jargon) to understand what is going on for you. As we talk there will probably be a moment when we touch on something that evokes an emotional response. This is our opportunity to go deeper. As we transition from ‘talking about’ to ‘moving through’ I make much use of my intuition and energetic sensitivity to support and guide you towards things that you may have previously avoided or found difficult. Sometimes this may involve some intense emotions rising to the surface and being expressed in a safe and responsible way. At other times it can involve moving into a profound state of relaxation and contemplation. The general idea is to help you let go of the things or people that no longer serve you and to clear any blockages from the relationships between you and your nearest and dearest. This work generally leaves most people feeling lighter, brighter, more optimistic, and more embodied. Therapy can be a significant financial investment. While my sessions are certainly not cheap I do believe they offer good value for money. Complex symptoms are the result of relatively simple root causes. Together we can find and heal old traumas that drive your current behaviour. Talking about your problems is not always enough to change them. My approach is gently direct and I will coach you to face your fears and express your emotions. Your symptoms are indications that you have coped with past traumas. I will coach you to harness your core-rage and channel it in a healing direction. I take you totally seriously but our time together doesn’t have to be. It is usual for there to be tears in one moment and laughter in the next. I am able to sense the energy in and around your body. If there are blockages we can remove or dissolve them together. Negativity is a symptom of avoidance. I will guide you into the void, through the darkness, and bring you back to your natural positive self. A standard 50 minute therapy ‘hour’ is over in no time. I offer longer sessions to make your visits more valuable. I offer flexible appointment times from 8am to 7pm according to our moving schedules. We can meet face to face or over the telephone. We can meet at my home office in One Bartholomew Square, Bethnal Green, East London E1. 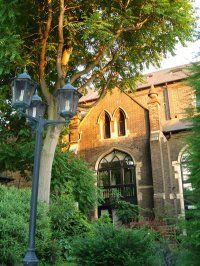 It is a 3 minute walk from Bethnal Green overground station (from Liverpool Street station), a 4 minute walk from Bethnal Green Underground station (Central line) and a 7 minute walk from Whitechapel underground station (District, Hammersmith & City, and East London lines). If you are interested in the possibility of working together you can request a free 30 minute consultation, or call me on 07958 375 655 so we can talk about your situation.